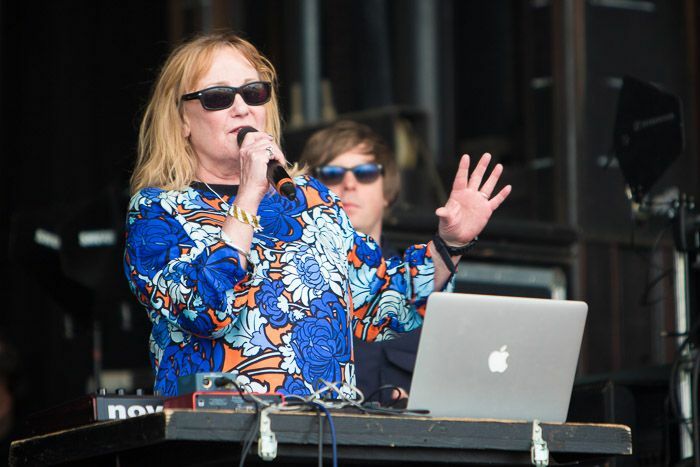 With the news of Janice Long’s late night radio 2 show being axed, Getintothis’ Alan Weston laments the loss of a true original who’s passion and love for her city few could match. For most people, 17 years in the same job would count as a pretty good innings. But it still came as a shock when Janice Long, Radio 2’s veteran post-midnight DJ, was unceremoniously shown the door by BBC bosses after being told that her show was being discontinued. Janice made an emotional farewell on air and signed off – typically for such a tireless champion of Liverpool music – with Echo & the Bunnymen’s Nothing Lasts Forever. And that was that. Explaining why both Janice, and her fellow After Midnight presenter, Alex Lester, were now surplus to requirements, the head of BBC Radio 2, Lewis Carnie, said: “A relatively small percentage” of the audience listened to the station through the night and they had to make savings in line with the rest of the BBC. Of course, in order to avoid the dreaded word “sacked”, vague assurances were made that both Janice and Alex would continue to broadcast on the BBC in some unspecified capacity in the future. I became what you might call a fairly regular listener to Janice Long during a prolonged period when I worked as a late reporter for the now defunct Liverpool Daily Post. Janice‘s dulcet tones were the perfect accompaniment to the drive home and the post-work wind-down, more often than not with a drink in hand. Her show was an eclectic potpourri of sessions from bands you’d never heard of, nostalgia, a brief “Pause for Thought” segment, and the occasional cult tune. It was mercifully free of the endless traffic reports and forced banter which can make Radio 2‘s daytime output so tiresome. I remember on one occasion she somehow managed to wangle Morrissey into the studio for a live interview – he was his usual guarded, elusive self and I seem to recall he spent most of the time asking her the questions. And, as before mentioned, Janice never forgot her Liverpool roots and it was rare for her show not to feature several bands or artists with a Merseyside background. But now all that has come to a juddering halt. Instead, listeners tuning in after midnight will be treated to repeats of the likes of Sounds of the 80s, Pick of the Pops, and The Craig Charles House Party, which will be followed by pre-recorded “playlists which are uniquely created by our leading music presenters“, covering folk, country, blues, jazz, pop and soul, among others. This will be small comfort to the taxi drivers, long-distance lorry drivers, shift workers, and all those many others at home for whom the small hours of the morning can often be the most desolate part of the day. But, unfortunately, there can be no room for sentimentality – or for that matter, originality or human contact – in our brave new world. Gutted @janicelongdj won’t accompany me home on late night journeys after gigs on @BBCRadio2 Good luck for the future. @BBCRadio2 no more @janicelongdj and @alexthedarklord – what a terrible mistake to lose these consummate hosts. @LFBarfe @janicelongdj @alexthedarklord BBC needs to cut DJ funding while throwing money at the awful Gary Barlow TV vanity project. Ugh. @LFBarfe @janicelongdj @alexthedarklord Not impressed. Not impressed at all. Why heavily promo DAB if there’ll be nowt worth listening to? Very disappointed in @BBCRadio2 for ditching @janicelongdj and @alexthedarklord from the After Midnight slot. Both are much loved!